Marc Cerrone (born 24 May 1952) is a French disco drummer, composer, record producer and creator of major concert shows. Cerrone is considered as one of the most influential disco producers of the 1970s and '80s in Europe. He has sold over 30 million records worldwide, including over four million copies in France alone, and eight million copies of Supernature, which is considered his magnum opus. The single "Love in C Minor" (1976) reached No. 3 and stayed on record charts for over two months, chalking up sales of three million copies. 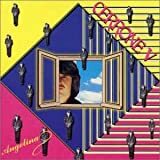 With "Supernature" (1977), Cerrone merged symphonic orchestrations with the rigid sounds of synthesizers. At the 1978 Billboard Disco Forum, Cerrone took home six awards including Disco Artist of the Year. 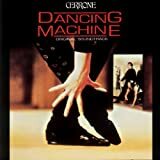 In addition to Love in C Minor, Cerrone's Paradise and Supernature, Marc Cerrone enjoyed success in Europe with albums such as Cerrone IV: The Golden Touch (1978), Where Are You Now (1983), The Collector (1985), Human Nature (1994) and more recently with the dance albums Hysteria (2002) and Celebrate (2007). Cerrone is also known for his huge live performances. In 1991, the French composer was entrusted with the task of laying on the show "Harmony" to celebrate the launch of Japan's first high-definition TV satellite. The rock opera was therein presented to over 800,000 spectators at the Tokyo harbour. This event recorded such success that Broadway asked Cerrone to adapt "Harmony" for theatre. In 1992, the musical Dreamtime which was based on an original story by Cerrone ran for 140 shows on Broadway at New York's Ed Sullivan Theater. 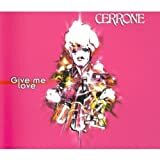 In a career spanning over four decades, Cerrone has recorded and performed with many prominent musicians, including Nile Rodgers, Toto, Laura Branigan, Jocelyn Brown, La Toya Jackson and Axelle Red. His music has been sampled by artists such as The Avalanches, Bob Sinclar, the Beastie Boys and Run-D.M.C..